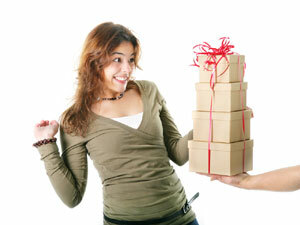 Unethical Practice #5: Agents who accept referral fees, kickbacks, or gifts from the service providers they recommend. Buyers and sellers often ask their agents to recommend lenders, inspectors, title companies, contractors, stagers, gardeners, window washers, handypersons, and—for sellers who move out of the area—buyers' agents. This makes sense, since agents are usually in a better position to know the reputations of other service providers. A problem arises, though, when agents get fees or gifts from the companies they recommend. Kickbacks and referral fees hurt you in two ways. First, they tend to push up the cost of services, since providers tend to charge more (or refuse to give discounts) if they have to pay referral fees. Second, they can lead to bad advice. If your agent recommends a stager who's paying her a referral fee, for example, it may not be because the stager is offering the best services. Some kickbacks are also illegal. The federal Real Estate Settlement Procedures Act (RESPA) prohibits agents from getting kickbacks from certain providers, like title companies, lenders, inspectors, and appraisers. When RESPA became law, many big brokerages quickly solved the no-kickbacks problem by acquiring their own title companies and mortgage companies. This was challenged in the courts, and brokerages are no longer allowed to control title companies. They can, however, control—and refer clients to—their own mortgage lenders. There's also evidence that many agents skirt RESPA rules by collecting illegal kickbacks. If you’re a buyer who intends to finance your purchase, you’ll likely need a pre-approval letter from a lender before you can make an offer. Your agent will likely recommend one or more mortgage brokers who are willing to write such a letter. So far, so good—you may need a pre-approval letter on short notice, and it’s nice to have a reliable mortgage broker in your corner. The problem is that many buyers remain loyal to the brokers who wrote their pre-approval letters—and they often pay dearly for this loyalty in the form of higher rates or loan fees. Agents and mortgage brokers often encourage this loyalty by fostering a sense of teamwork and obligation. During the offer process, your mortgage broker will be called upon to “go the extra mile” for you by producing a pre-approval letter on a weekend, or in the evening. If your offer is accepted, your entire team will rejoice along with you. Many buyers find it hard at this point to cut the mortgage broker from the team--and this is what enables some mortgage brokers to charge inflated loan fees. That's why I think it's better to get a pre-approval letter from an impersonal direct lender, like BankofAmerica.com, WellsFargo.com, and Chase.com. After your offer is accepted, you can invite the lender who wrote your preapproval to quote you its best rate, but you won't feel as guilty if you ditch that lender for another. Note that many banks are now requiring buyers who wish to make offers on foreclosed properties to get preapproved by their own loan officers. As a nod to RESPA, the banks almost always say that this is for preapproval only and that buyers are free to get loans elsewhere. But many banks give their winning bidders a very short time period in which to release their loan contingencies, which doesn't give them much time to start fresh with a new lender. Many sellers stick with their agents when they buy their replacement homes. But if they plan to move to a different area, they'll often need a new agent. When that happens, their agents will sometimes offer to help them find a good buyers’ agent. Agents are often richly rewarded for these referrals. The typical reward for sending a client to a buyers’ agent is 25% of any commission that agent receives. That would come to $3,125 if you bought a $500,000 home offering a 2.5% commission. Some agents finagle for more—I routinely get cold calls from agents in other states who are trying to sell their clients to me in exchange for generous referral fees. These agents know nothing about me and the quality of my services. One problem with a referral fee is that it can prevent you from negotiating a better buyer rebate for yourself. 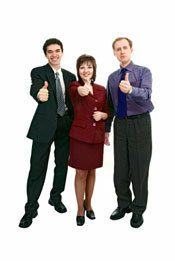 As I explain in my website CapturetheCommission.com, buyers’ agents will often give rebates to buyers who ask for them. If your listing agent is getting a referral fee, it will likely come directly out of your potential rebate. RESPA, as we’ve seen, won’t allow title and escrow companies to give agents kickbacks for using them. Undeterred, these companies have tried to disguise kickbacks by offering agents things like free classes, free virtual tours, and below-market rents on offices. Shop for a loan after your offer's accepted. Make sure you get quotes from at least three different lenders. As a courtesy, it’s polite to invite the mortgage broker who wrote your pre-approval letter to match or beat any quotes you get, but you’re under no obligation to go with that broker. Be sure to tell each loan broker that you're shopping elsewhere--this often prods them into giving you an extra-special rate. Don’t ask your agent to recommend another agent in a different town. Search on your own and, if possible, try to negotiate a buyer rebate. Go along with your agent's choice of title and escrow companies. It may not be worthwhile to challenge your agent’s choice of a title and escrow company. Though escrow and title companies are supposed to be neutral parties in any transaction, they’ll treat your side better if your agent’s a steady customer. This may come in handy if you need them to make a second run to the courtyard to record title, or remove junk fees they’ve slipped into your settlement statement.